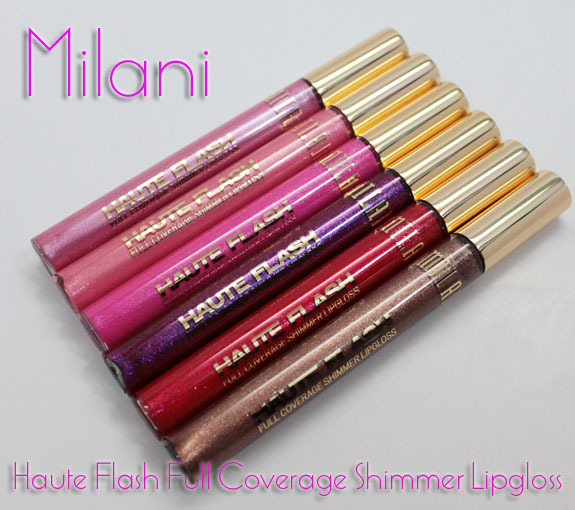 Milani has some new colors in their Haute Flash Full Coverage Shimmer Lipgloss line this spring. 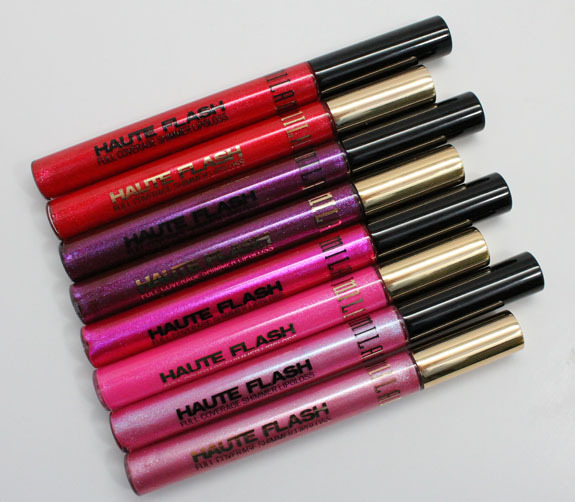 A few other things have changed with these glosses as well. A couple of the colors have changed a bit and the packaging is a little different. They now feature a shorter tube (same amount of gloss inside though), a gold cap and a flat paddle wand. The two new colors added to the line are Quick Flash and Golden Flash. 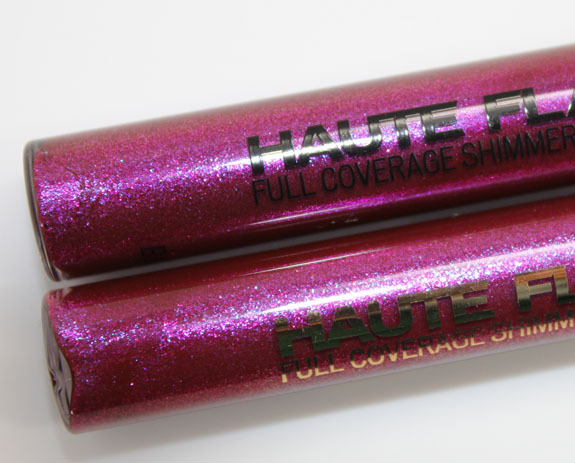 Star Flash is a blue-based cool pink shimmer. 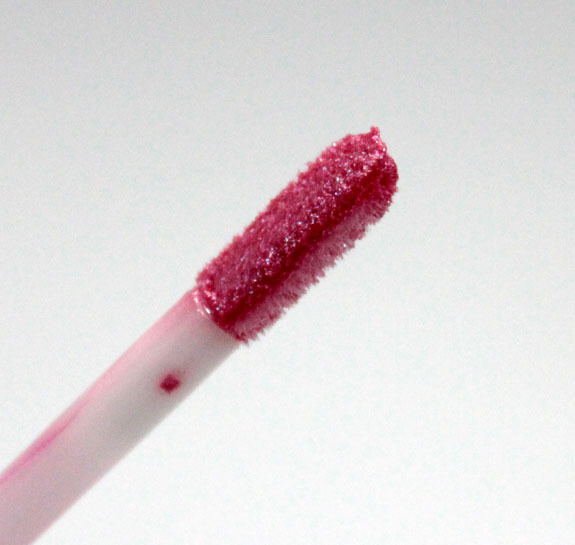 Quick Flash is a pale ballet pink shimmer. 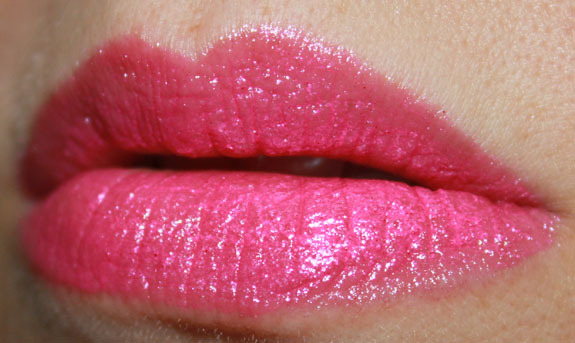 Flashy is a bright pink shimmer. In A Flash is a deep purple shimmer. 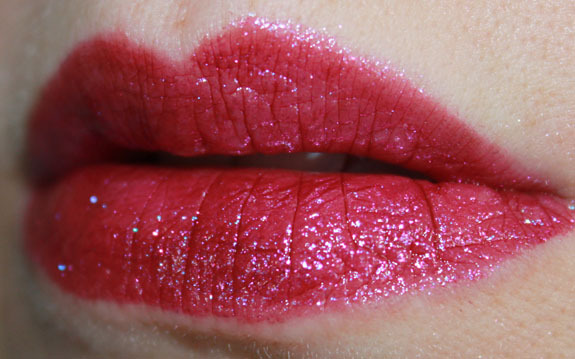 Hot Flash is a cool red shimmer. 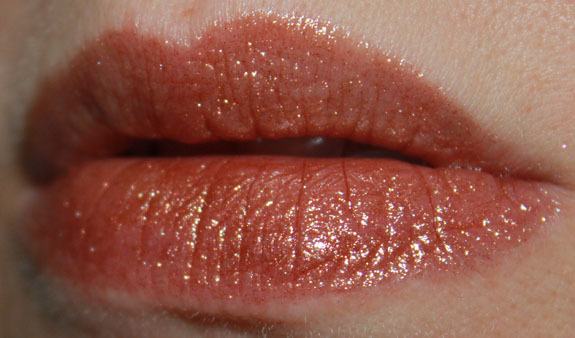 Golden Flash is a golden beige shimmer. Milani did mention to me they changed the color Flashy a bit from the older collection. But I noticed subtle differences in Star Flash and Hot Flash as well. In A Flash is pretty dead on to the color it was before. 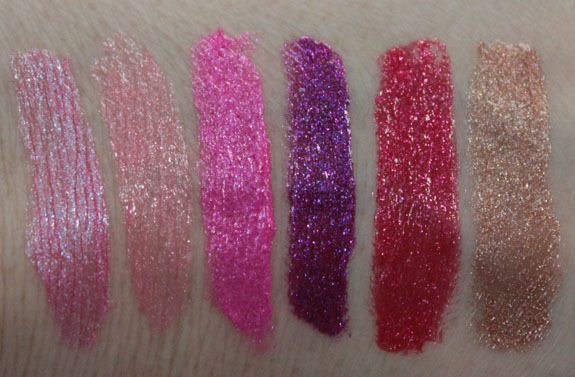 These are super pigmented, super shimmery and moisturizing. They aren’t sticky at all, don’t have a weird taste and the colors are just vivid and gorgeous. Here are the older ones (black caps) compared to the new (gold cap) ones. 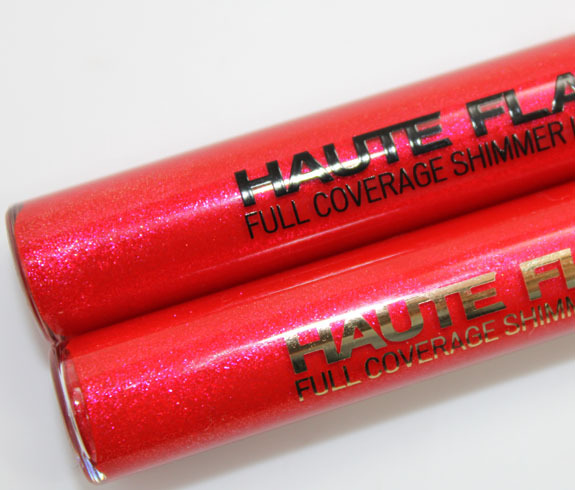 As mentioned you get the same amount of gloss in them (0.18 oz) as before. Hot Flash is very similar but I do think the newer version is a slightly brighter and lighter red. Maybe a little more orange in it than before. 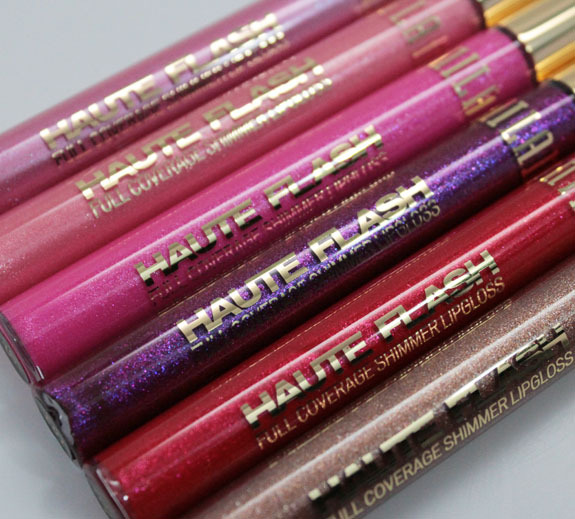 In A Flash is pretty darn close, maybe a little lighter, but on the lips they look the same. Flashy is definitely different. The old version is a more purple/pink and the new is a lot more flamingo pink. LOVE this one and glad they changed it actually! 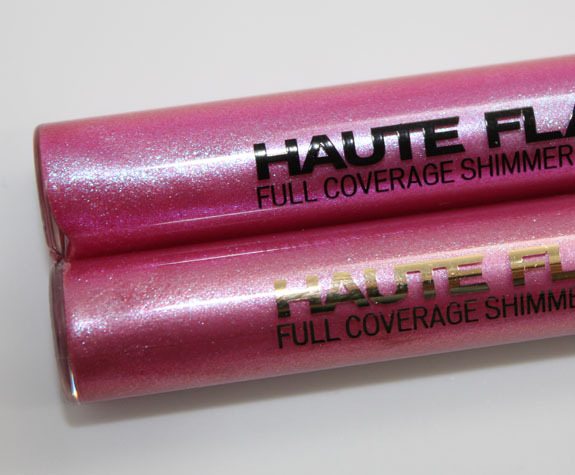 Star Flash appears pretty similar in the tube but the older version has more blue/purple shimmer in it and the new one is more of a soft ballet pink. Amazing, fabulous, fantastic. I love these and cannot say enough good things about them. If you didn’t pick them up before or missed out on the similar MAC ones (comparison here), get these! Availability: Now in stores (these are part of the perm collection!!). Pricing: $6.00 for 0.18 oz. What do you think? Did you ever get the older ones? Are the differences enough that you may pick up the new ones also? Hmm…you’re making me consider picking up 1 or 2 of these next time I’m in CVS. I love the colors on the lips. Your old swatches of this was actually the reason I ordered this set from them, and I’m so glad I did. The color payoff is just amazeballs. Now I’m going to have to get the new Flashy! Thanks for the swatches! I love Star Flash! I haven’t tried any Milani lip glosses but will definitely have to. I have NEVER seen this brand in any of my local stores. Am I blind or is it only carried in certain regions? I’ll have to see if I can pick it up online! Thanks for the post! ooooh hot flash! so pretty! You know, I barely wear gloss anymore, it’s just so sticky and annoying. *However* I don’t regret my previous purchases of three of these (skipped the hot pink), and will definitely be picking up the new colors and maybe even the new version of Star Flash. They’re really, really nice and Milani did a great job with them. Thank you so much for the comparisons! I like Golden Flash and Star Flash! I’ve never seen these in stores before but Flashy is beautiful. I’ll have to keep my eyes open for these. I really like Flashy, but you know what? I like the old colors a lot more! thank you for taking the time to do a comparison, I loved seeing all the colors lined up 🙂 happy Monday! I love the colors! 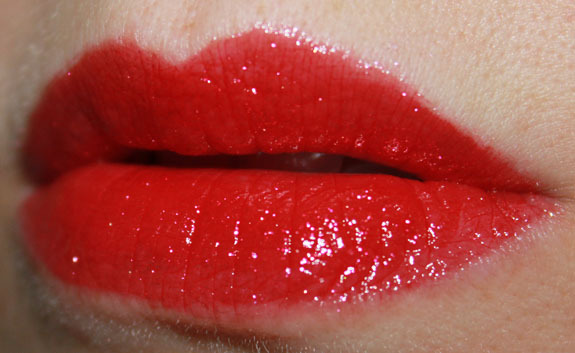 However, in the past, these glosses have migrated on my lips. I got that awful bleeding look. Did you experience this with these? I have a couple of the older glosses. I think I need about four of these new ones. Not that I do NEED them but I want them! Flashy is my favorite. They’re all gorgeous. Yep, still love Flashy and Hot Flash. I really liked the comparisons between the previous and new! All the colors look so pretty. Especially golden flash. I’m hoping a store around me will actually carry these because i would love to pick a few up. Hot Flash and Flasy look the best, I think I’ll pick those up! Amanda´s last post…Feels like you’re beating, beating the drum beats into my heart. None of my stores ever even got the old ones. But I have a feeling that they won’t get the new powders toy reviewed a few days ago either so I think an online Milani order will be happening soon. Great pics and swatches! 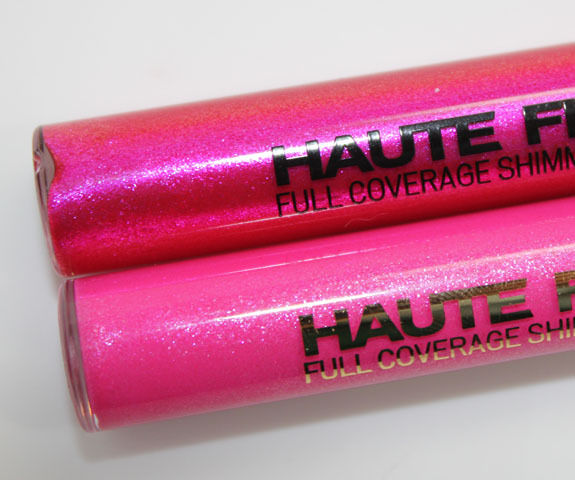 I’m kind of disappointed by the changes, because I bought these because of the fact they were dupes for the MAC. Then again, I’m not likely to run out of Flashy or Star Flash anytime soon. 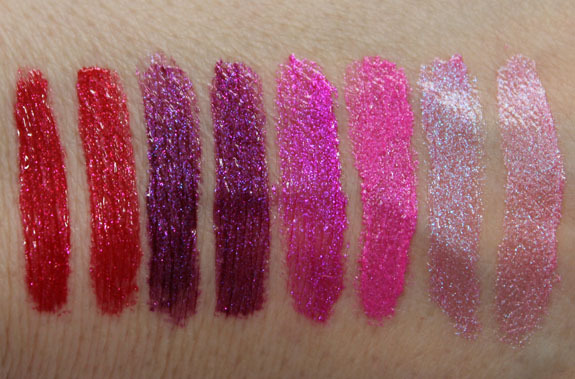 These are really pretty- they’re so opaque for a lipgloss! Once again, I wish Milani was available where I am. I love In a Flash! Rie´s last post…NOTD: Valentine’s Day Domo-kun Mani! so glad these are permanent. thanks for the swatches! I like the old colors a lot more! thank you for taking the time to do a comparison, I loved seeing all the colors lined up.